Since itContracting was established in 2010, we have created prosperity across the IT sector, positioning the best temporary, contract and permanent IT candidates within the brightest companies. We really care about getting it right. As members of the National Recruitment Federation, we adhere to the standards and codes of practice for the recruitment industry in Ireland. 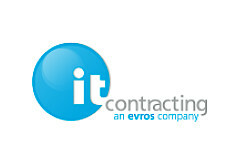 And itContracting continues to be the proactive technology recruitment partner for both our clients and our candidates. As one of the country’s leading IT recruitment agency, we have now extended our reach across the United Kingdom, the Netherlands, Germany, Belgium, Switzerland, France and Poland.